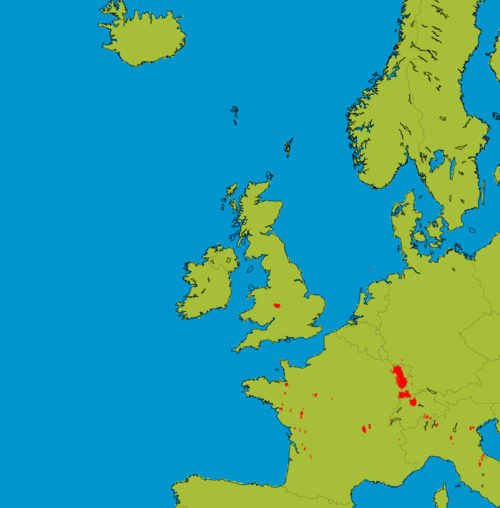 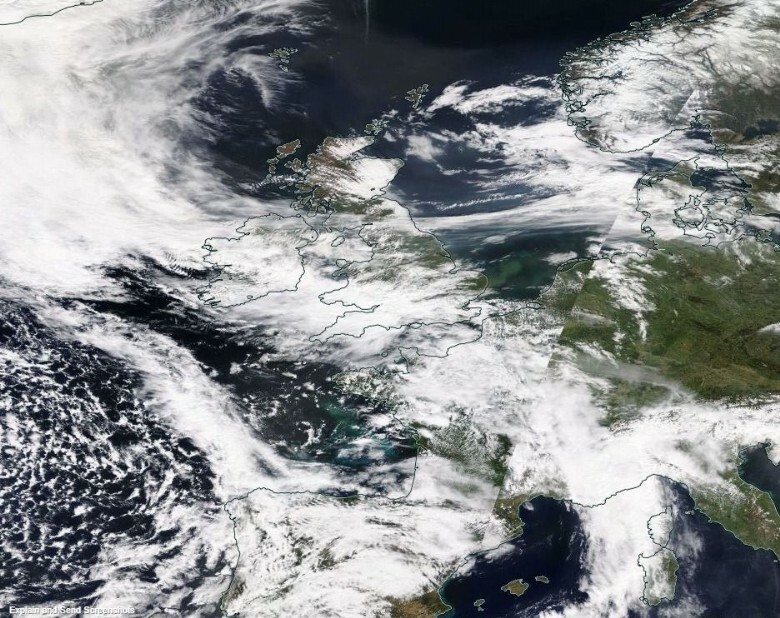 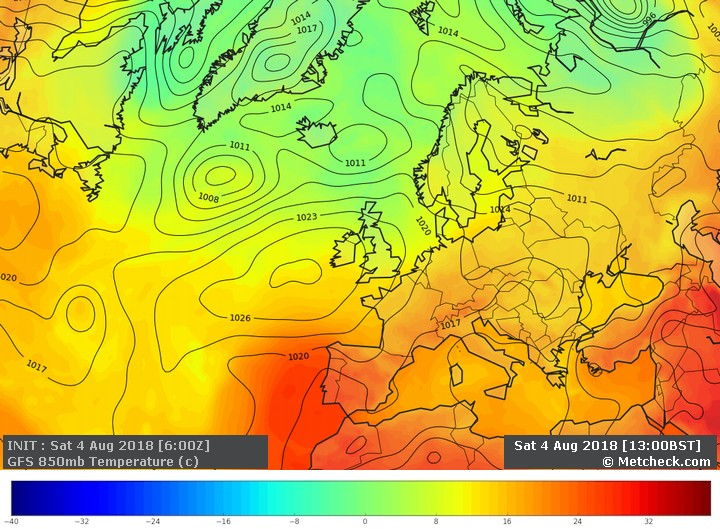 Metcheck.com - Weather Forecast Discussions - Will The Plume Hit? 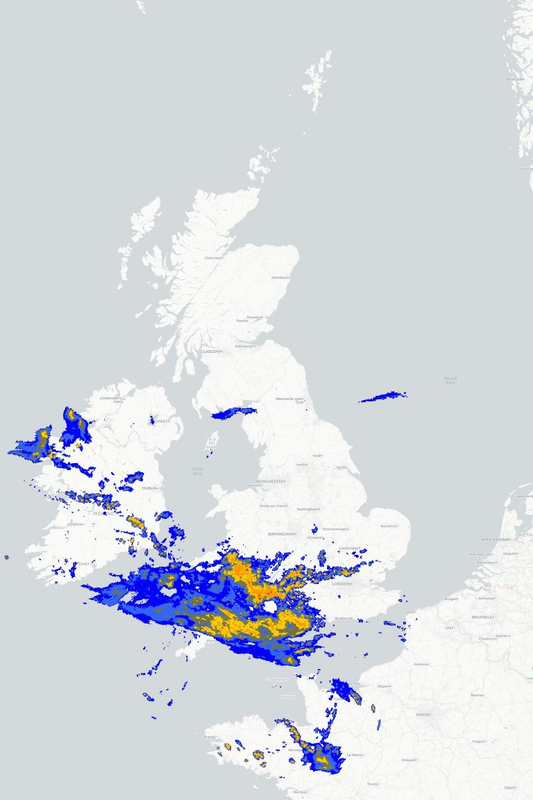 Expert Meteorologists Analyse Current Weather Situations. 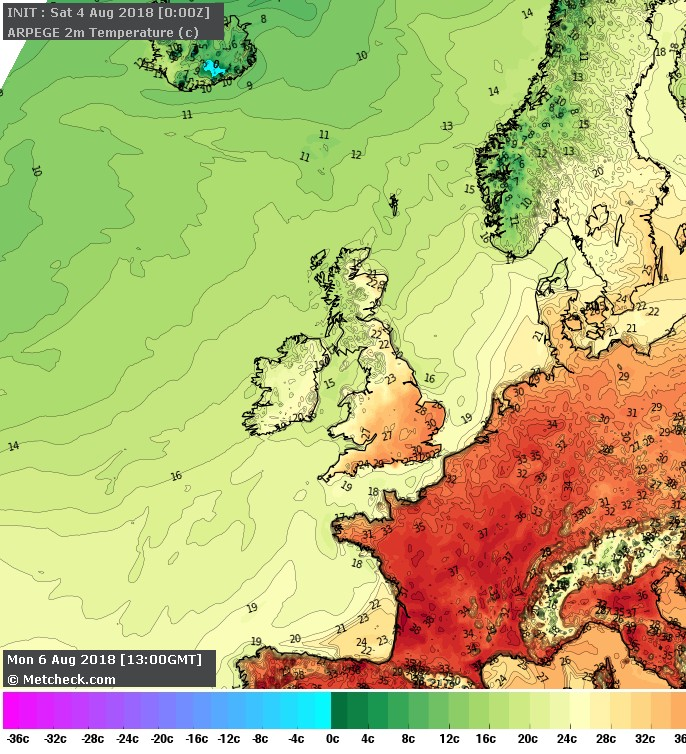 However the further north and west you are the cooler it will be with many parts of Scotland, Northern Ireland and the Republic of Ireland again wondering what all the fuss is about. 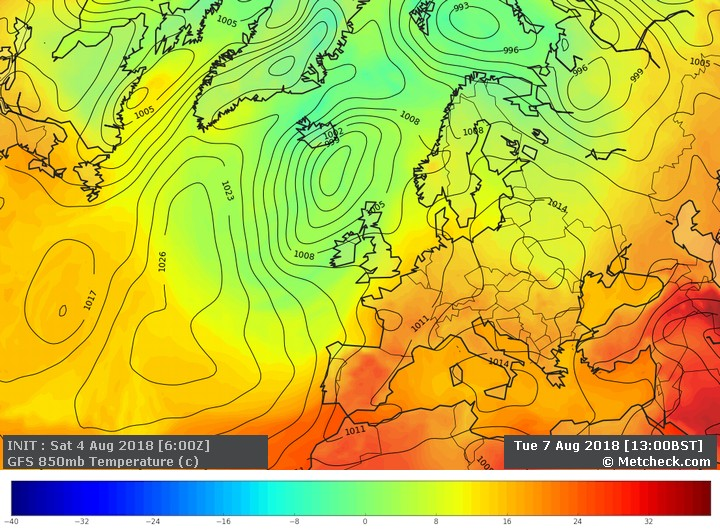 It is this cooler air that will win out by midweek although the heat in the southeast may spark a few thunderstorms on Tuesday night. 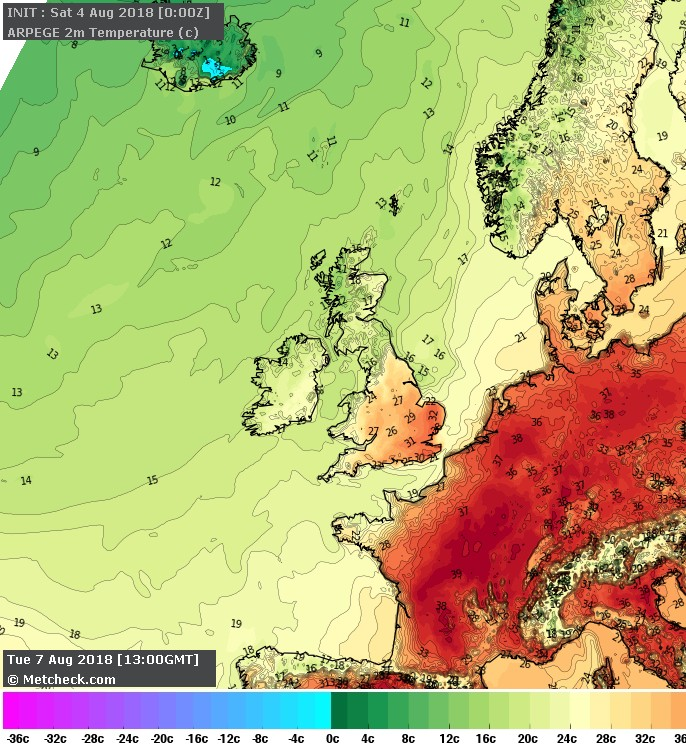 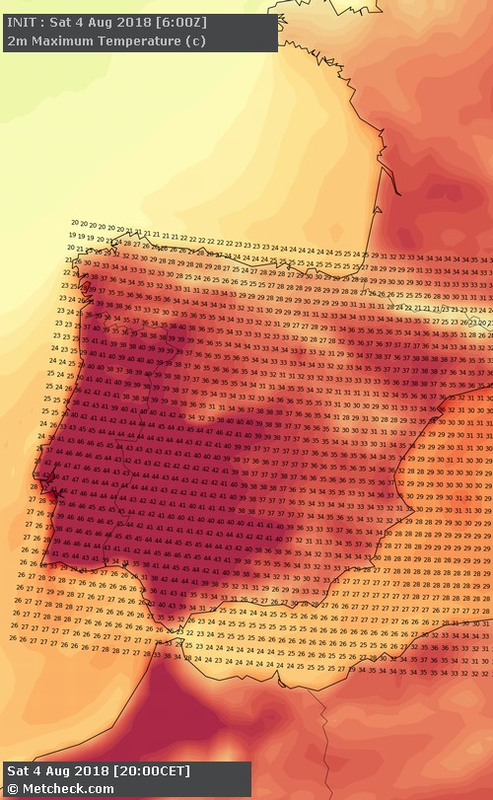 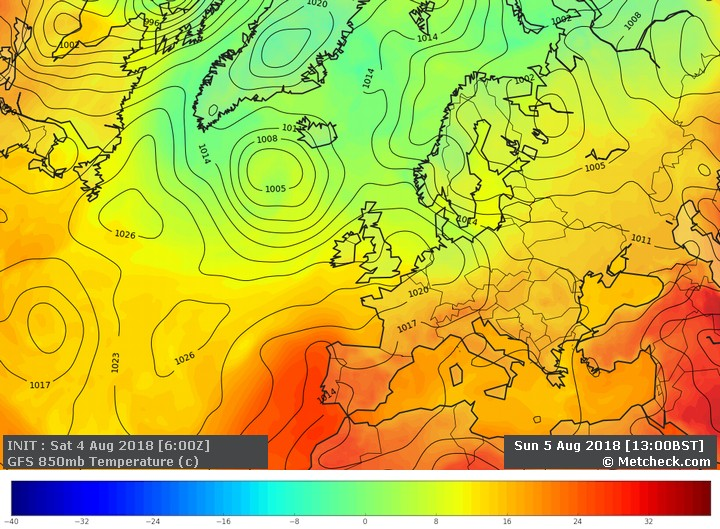 So to answer the question to this discussion - it's looking unlikely that the plume of hot African air will directly hit the UK and Ireland early next week. 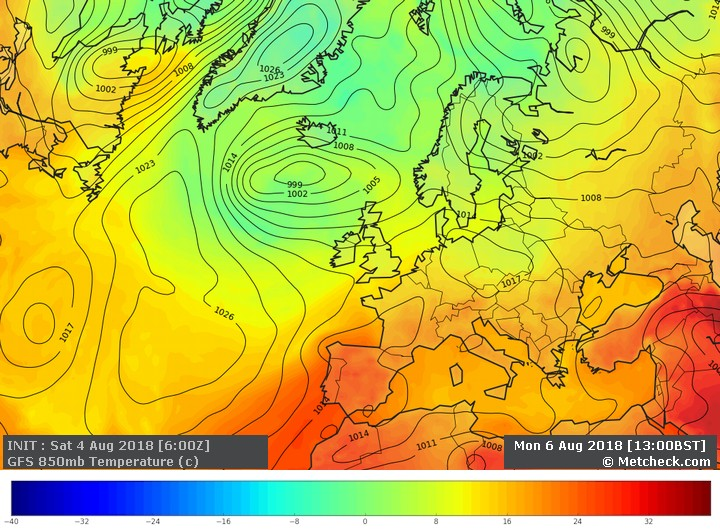 Nonetheless some more hot weather affects the south-eastern quarter of the country on Monday and Tuesday before cooler, fresher conditions spread in from the west from midweek onwards.